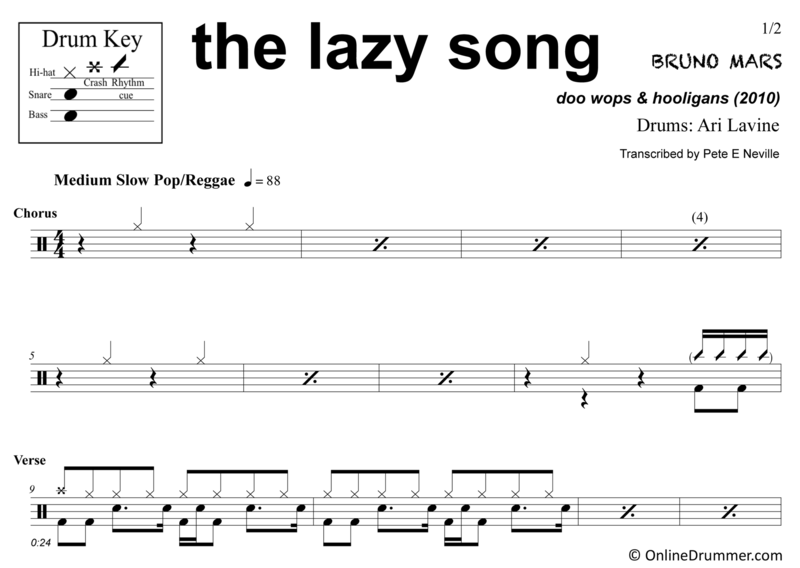 The full drum sheet music for “The Lazy Song” by Bruno Mars from the album Doo-Wops & Hooligans (2011). 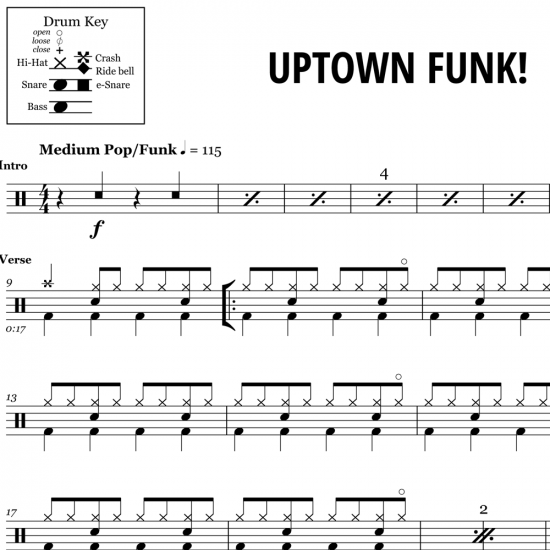 This groove is based off the classic “Funky Drummer” by James Brown loop. 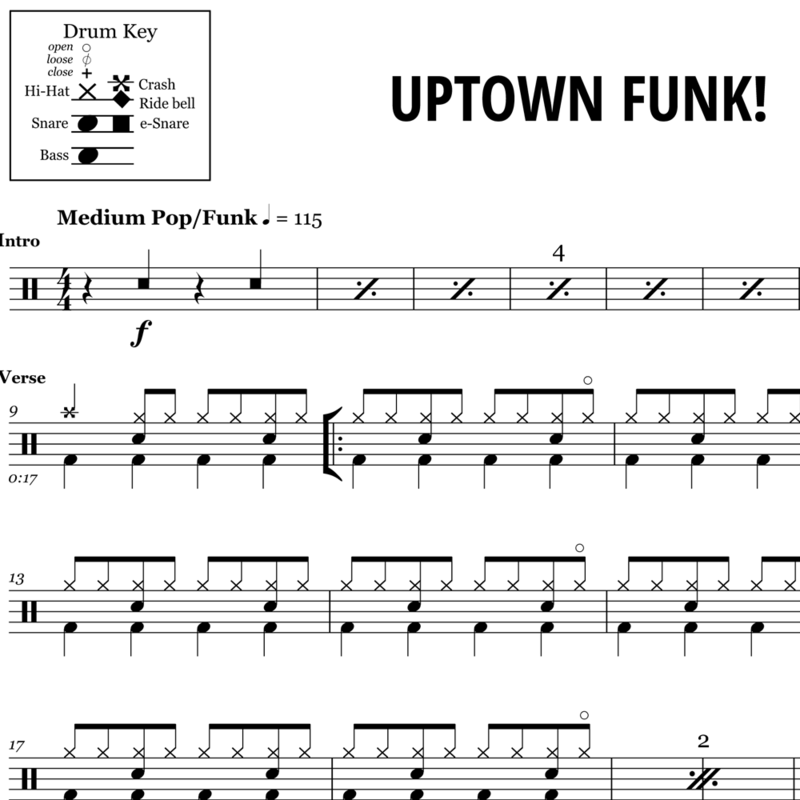 Open hi-hats accent the up-stroke in strategic places throughout to keep the groove interesting. 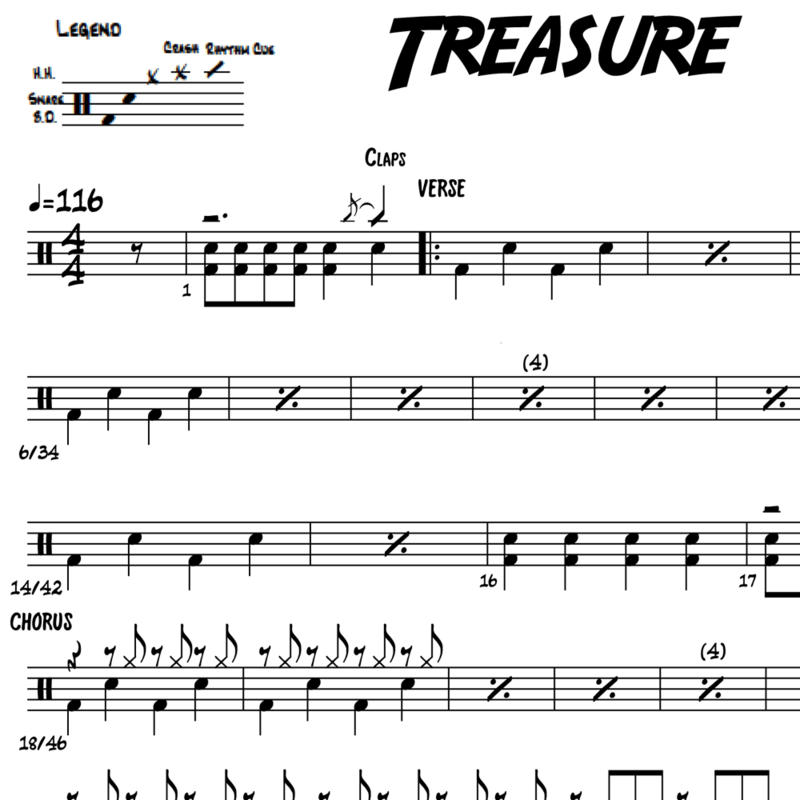 An all-around simple yet fun song to learn to play.